A mindfulness app for Christian Pastors and their spouses. Studies show that mindfulness is the first step in avoiding burnout and remaining healthy. 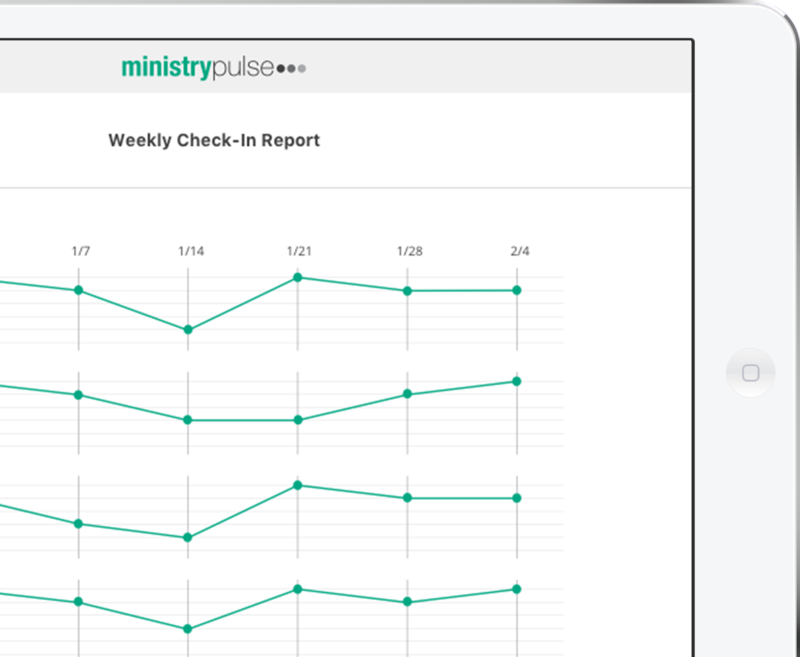 The MinistryPulse app will help you remain healthy in just seconds a day. A 20-second daily survey allows you to track your outlook every day. A slightly deeper weekly check-in allows you to monitor your wellbeing in six key areas of health. Daily journals allow you to reflect on what’s going well and what you’d do over, given the chance. Useful reports allow you simple and effective tracking of all your app activity. MinistryPulse is elegantly simple…yet extremely powerful in helping you remain more healthy. Reporting tools allow you to see how you’re doing at a glance. The Weekly Check-in Report shows you your progress across your last six (6) reporting periods. You can get a month-at-a-glance and a yearly report of your Daily Life Survey, allowing you to monitor patterns of good and bad days. The daily journal and do-over journal allow you to record mindfulness thoughts so you can identify what’s leading to your success and/or what’s causing you trouble in your daily wellbeing. A national nonprofit dedicated to helping pastors and their spouses remain healthy.